Colorectal cancer, more commonly known as colon cancer, is the second leading cause of cancer related deaths in the United States. However, this disease is largely preventable and highly treatable with recommended screening and early detection. The American Cancer Society recently lowered its recommended starting age for screening from 50 to 45 years of age. 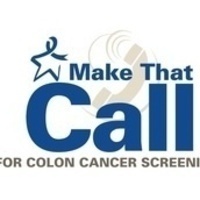 This month, NYP is encouraging patients and staff to learn more about colon cancer screening through our 'Make That Call' campaign.